Gianna Nicole recently went to the Philadelphia, and visited Museum Of Art, one of the largest art museums in the United States. She posed in front of the famous 72-step monument with an excited look on her face. If you have ever seen the movie, Rocky, then you know that this statue was built to honor the famous film. 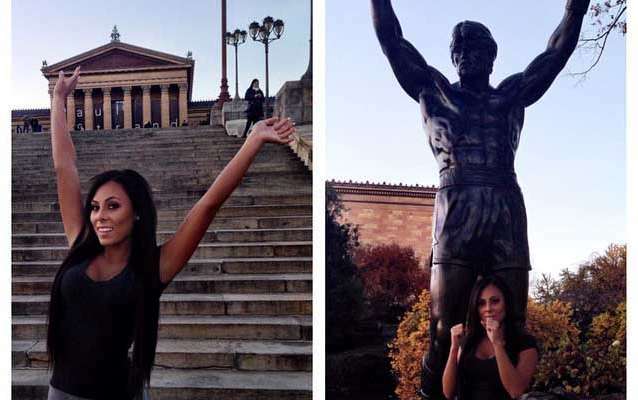 Fun-loving dream lover even put her dukes up and posed in front of Rocky! Perhaps her Italian roots made her want to pay tribute to the Italian Stallion!